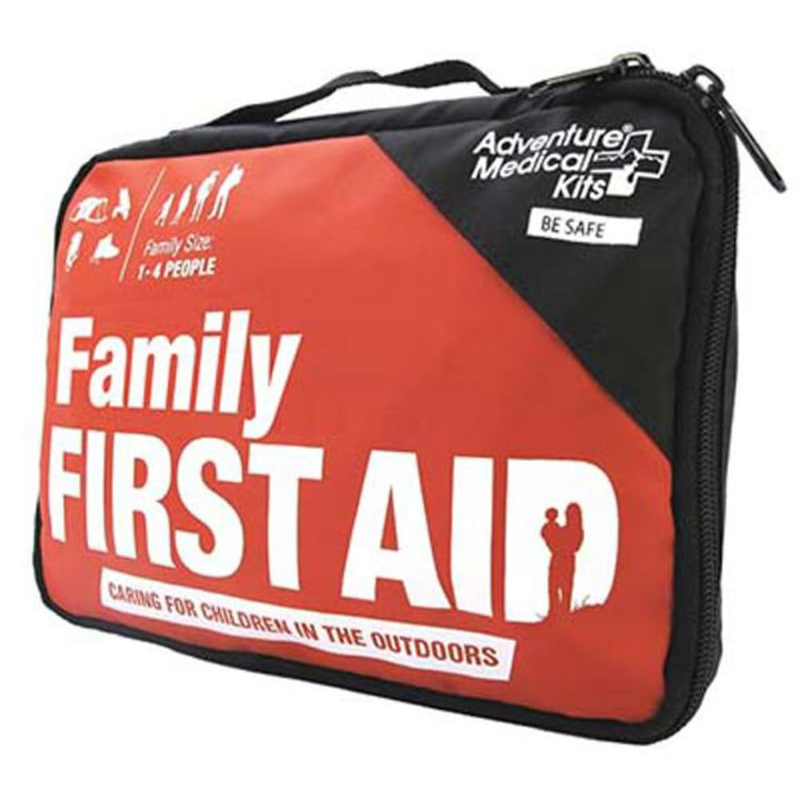 Designed to be kid-friendly with a wide range of first aid supplies, the Family First Aid Kit also includes Caring for Children in the Outdoors, an updated, comprehensive guide to first aid for those who will be caring for little ones in the outdoors—from picnics at the park to hikes in the wilderness. Bandage materials: 1 fabric adhesive bandage, 2 x 4.5 in. ; 2 sterile, nonadhesive bandages, 2 x 3 in. ; 4 fabric adhesive knuckle bandages; 12 plastic adhesive bandages, 3/8 x 1 1/2 in. ; 4 butterfly closure bandages; 16 fabric adhesive bandages, 1 x 3 in. ; 4 (2 per pkg.) sterile gauze dressing, 4 x 4 in. Fracture/sprain: 1 cold pack, 1 elastic bandage with clips, 2 in. 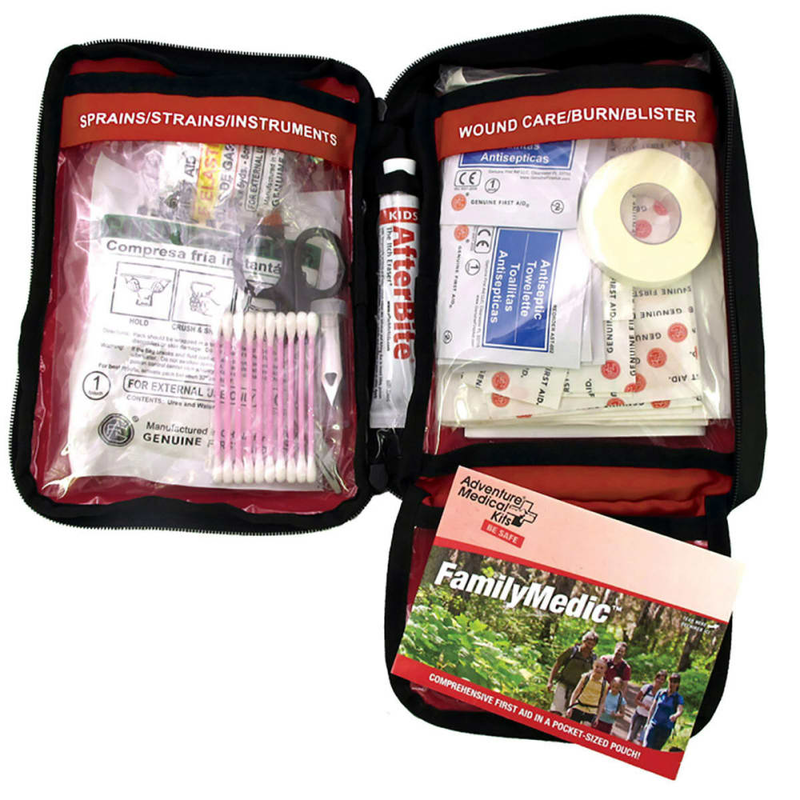 Kit size: 6 x 8.5 x 3 in. ; weight: 1 lb. 1 oz.